In 2011, chlorpyrifos first entered DPR’s comprehensive risk assessment process after being given a “high” priority status by DPR. In 2015, DPR designated chlorpyrifos a California restricted material, meaning that only trained, licensed professionals with a permit from a local county agricultural commissioner may use products containing the pesticide. In 2016, the United States Environmental Protection Agency was on track to ban chlorpyrifos by the end of the year. Shortly after taking office in 2017, the Trump administration reversed course. In 2017, it was added to California’s Proposition 65 list of chemicals known to cause reproductive harm. In August 2017, chlorpyrifos entered the state’s formal evaluation process to determine whether the chemical should be listed as a pesticide TAC. In December 2017, the Scientific Review Panel on Toxic Air Contaminants reviewed draft from the evaluation process. In June 2018, Hawaii became the first state to ban the chlorpyrifos. In July 2018, California released a scientific study reaffirming health concerns about the chemical and setting the stage for extensive restrictions. In September 2018, DPR proposed designating chlorpyrifos as a “toxic air contaminant,” which California law defines as an air pollutant that may cause or contribute to increases in serious illness or death, or that may pose a present or potential hazard to human health. On Nov. 8, 2018, DPR issued temporary recommendations for chlorpyrifos. The new rules come in response to the U.S. Environmental Protection Agency lifting a ban on the controversial pesticide in 2017 after President Donald Trump was elected to office. Just weeks after the ban was lifted, at least a dozen Kern County farm workers were exposed to the chemical agent during an overspray, casting national attention on the issue. Environmental advocates argue that the pesticide is dangerous and unnecessarily harms those exposed to the agent. Meanwhile, growers and regulatory officials say it’s an effective all-purpose pesticide that is safe when used properly. Discontinuing chlorpyrifos’ use on most crops. Restricting chlorpyrifos to “critical uses” on crops for which there are few if any alternative pesticides. Requiring a one quarter-mile buffer zone during all allowed applications of the pesticide and for 24 hours afterwards. 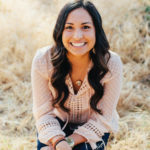 Chlorpyrifos is an effective insecticide that tackles a variety of pests that threaten crops such as grapes, almonds and oranges, said Charlotte Fadipe, DPR’s assistant director of communications. Fadipe made the analogy that chlorpyrifos is like a multi-surface cleaner. Instead of buying a cleaner for granite counters, and a different one for wooden tables, and another for tile countertops, why not buy one cleaner that is effective on a variety of surfaces, she asked. Chlorpyrifos use in Kern County is higher than anywhere else statewide, according to the California Department of Pesticide Regulation Annual Pesticide Use Report. 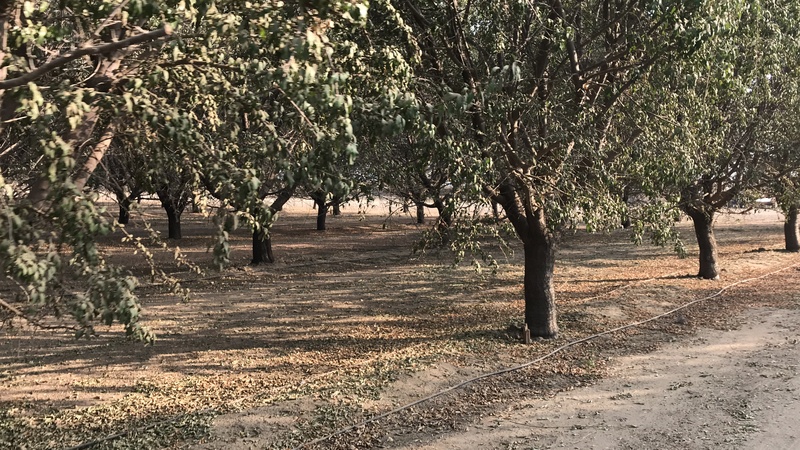 At the same time, Kern is the state’s top agricultural producing county, something Kern County Agricultural Commissioner Glenn Fankhauser said may contribute to the county’s reliance on chlorpyrifos. 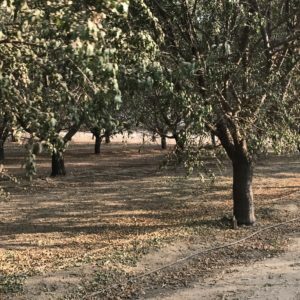 More than 203,000 pounds of chlorpyrifos were applied in Kern County in 2016 – about 23 percent of the total amount of that pesticide used across California, according to the report. A reason for Kern’s high use of the pesticide could be due to the particular crops grown in Kern, Fankhauser said. Grapes, citrus and almonds — the crops that use the most chlorpyrifos — were Kern County’s top three commodities in 2017, according to the 2017 Kern County Agriculture Report. As the county agricultural commissioner, it’s Fankhauser’s duty to protect the public, while also promoting and protecting agriculture, he said. The Kern County Agricultural Commissioner’s almost always enforces DPR’s suggestions, “barring something unusual,” said Fankhauser, and in most cases includes more restrictions on pesticides. However environmental justice advocates don’t believe there is a safe way to use chlorpyrifos. DPR has conducted research on the pesticide, and research shows it can affect the nervous system, can have neurodevelopmental effects and can be a reproductive toxin if exposed, said Fadipe. “The science is clear: children and pregnant women are being exposed to a chemical that permanently damages the developing brain,” said Paulina Torres, a staff attorney for the Center on Race, Poverty and Environment. Several recent studies demonstrate that exposure to low levels of chlorpyrifos or organophosphates can negatively impacts various aspects of cognitive development in humans. A UC Berkeley study found that the group exposed to the highest levels of chlorpyrifos or an organophosphate during pregnancy was associated with a seven-point drop in IQ scores in seven-year-old children. A Columbia University study found that three-year-old children with higher prenatal exposures to chlorpyrifos were more likely to experience delays in development, attention problems, ADHD problems and pervasive developmental disorder problems. And a UC Davis study found that mothers who live within a mile of fields where chlorpyrifos and other organophosphate pesticides were applied had a 60 percent higher chance of having children with autism spectrum disorder. Because of the health risks, environmental advocates are asking for more than just recommendations. They are urging leaders to ban the presticide. Last year in May, at least a dozen farm workers south of Bakersfield fell ill after being exposed to a pesticide called Vulcan that was sprayed on an adjacent field. Chlorpyrifos is an active ingredient in Vulcan. With interim measures, where do we go from here? The interim measures announced Nov. 8 in Sacramento are part of a process to determine the insecticide a Toxic Air Contaminant, which California law defines as an air pollutant that may cause or contribute to increases in serious illness or death, or that may pose a present or potential hazard to human health. That process, however, can take up to two years. Once chlorpyrifos has been designated a TAC, DPR can develop control measures to reduce emissions to levels that adequately protect public health. In September 2018, DPR announced its proposal to list chlorpyrifos as a TAC. DPR prefers growers to use an alternative pesticide that is not as harmful to humans, said Fadipe. Would banning chlorpyrifos or making it a TAC have an impact on Kern? Kern County was the top agricultural producer statewide last year. The 2017 gross value of all agricultural commodities produced in Kern was more than $7 billion, a one percent increase from 2016’s crop value, according to the annual crop report. But growers find the regulations hard to work with, according to Fankhauser.